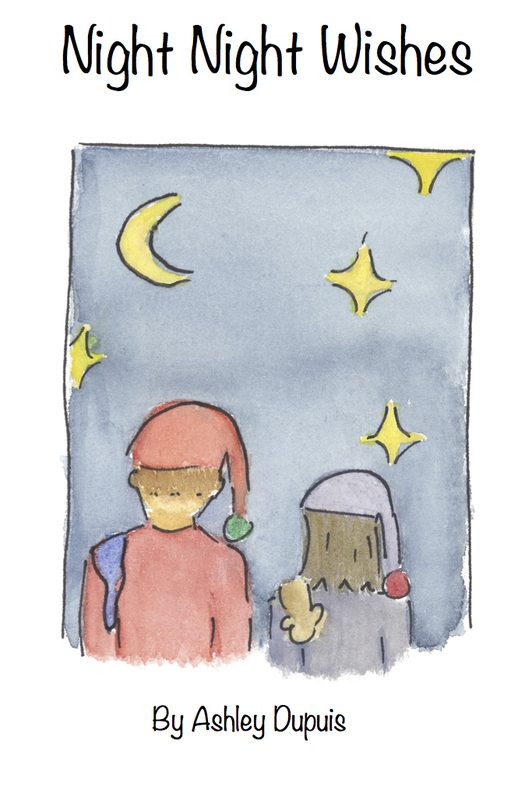 A few moments later he touched his nose, and she responded with “night night nose.” From there she looked over at his light-up turtle which shined with stars and had the final line. After her first few pages were finished, Dupuis came up with a quick sketch of ideas and began painting pictures for each page. Her original plan was to make the book “Night Night Wishes” for her kids Kellen and Olivia, but, after some encouragement from a friend, she ended up sending it off for copyright in 2016. Dupuis graduated from Auburn with a degree in international business with concentrations in French and logistics and never expected to write or illustrate a book of any kind. Besides painting on the side, she had only dabbled in the arts occasionally. After graduating from Auburn, she was hired by Knight Transportation and worked as a Customer Service Manager and Director of Driver Development in their Kansas City office. Two years later, she moved to Tennessee and found a job as an Inside Sales Manager for Leading Edge Communications. She then married her husband, Christopher Dupuis ‘05, and moved to Olympia, Washington where she handled referrals and new patients for a local neurologist. She never thought her career path would lead to writing a children’s book, but is no stranger to new adventures. She and her husband, a logistics officer in the Air Force, move around often. They have lived everywhere from Wyoming to Hawaii. Upon their move to Florida in June, they will have lived in seven states since 2008. Even though “Night Night Wishes” has not been submitted to any publishers, it sells several copies each month. “Night Night Wishes” isn’t the last book Dupuis plans on writing. She has already started working on two other children’s books that hit a little closer to home.